PuzzleMad: A Cube With No Angles? Golden egg - except it's green! No! I'm not going to start a discourse on Non-Euclidean geometry! Not unless you ask really nicely! This post is about twisty puzzles that don't have corners! Such things do exist - they don't have to have corners. I have shown a few puzzles that aren't cubic, some have been cuboid and others have been rhombus shaped or dodecahedra. All of these have had some kind of corners to them and the presence of corners at least provides you with something to orient yourself when solving the twisty puzzle. My last Puzzle Master delivery included something that I really wasn't sure about - a twisty puzzle that had no corners - it's egg shaped. This one is the Golden egg. Yes I can see that it's green! It actually comes in quite a variety of different colours and I think the original version was golden (hence the name) and it was based on the mechanism of the Golden cube designed by Tony Fisher. I would very much have liked to have bought a Golden version but they are only available occasionally when they come up on eBay or someone is selling one on the Twisty Puzzles forum. BUT they usually sell for several $100 and I personally don't want to buy something that is so special and collectible that I'm too frightened to use it - puzzles are for playing with not storage and display! So I got the green one. It arrived in the large box just in a small polythene bag and not boxed - this was a surprise but many cubes from the specialist cube shops come this way. This puzzle is quite large at 12.5x8x8 cm and is available in blue, green, red and yellow (although blue and yellow are currently sold out) and it is pretty reasonably priced at $21. Why is this puzzle special? Because it is effectively a Skewb. That is a very deep cut corner turning cube which in egg form has effectively had the corners shaved off hence a cube with no angles. I should also say that solving a skewb is a fairly easy thing to achieve! It only requires the use of one algorithm and even I (who have the memory of a head-injured goldfish) can remember it - after all it is only 4 moves!! The fact that an egg shape is ovoid and is not vertically symmetrical means that not only do you have the disorientation of not easily being able to tell corners from centre pieces but it is also a "super cube" i.e. the orientation of the centre pieces matters and this makes it considerably more disorientating. To solve this I first went back to my ordinary Skewb to refresh my memory of how it worked and look at what my moves actually did. Solving the Skewb is really pretty trivial - there are no complex algorithms; just remember "up, up, down, down" or "down, down, up, up" and that is all that is required to move the various pieces around. Then look at your Golden egg and in your mind's eye work out which are the pieces that correspond to corners and which to centres (remember there are no edges on a Skewb). Do the single algorithm and look at what it does to the various pieces. This will immediately tell you what you need to do to solve it. Sounds easy? It is! EXCEPT, being not terribly bright, I just struggled to keep in my head which pieces were which and belonged where! Eventually I managed to keep it steady in my mind and solved it. If you really struggle and need help then my friend SuperAntonioVivaldi has posted a video solution to it Part 1 is here and Part 2 here. This puzzle is a nice little challenge and is totally different to all the others that I have tried. It is well worth your money (at a meagre $21) - for the solution process and also to add as part of your bigger collection. It possibly may end up a bit scarce in the future and become valuable. I began with the patterned one and found it not too difficult. Again it is a Supercube so orientation of the centre pieces is important and so you do need to use a technique which allows you to control their orientation. But this is not particularly difficult for anyone who is confident in the basic 3x3 cube. The hardest part for me is the edge pieces in the top layer - the algorithms all work as expected but it is just quite tough to work out what should go where and how it should be orientated. Having solved the patterned one I moved to the red version and using shape alone, had exactly the same task to do. 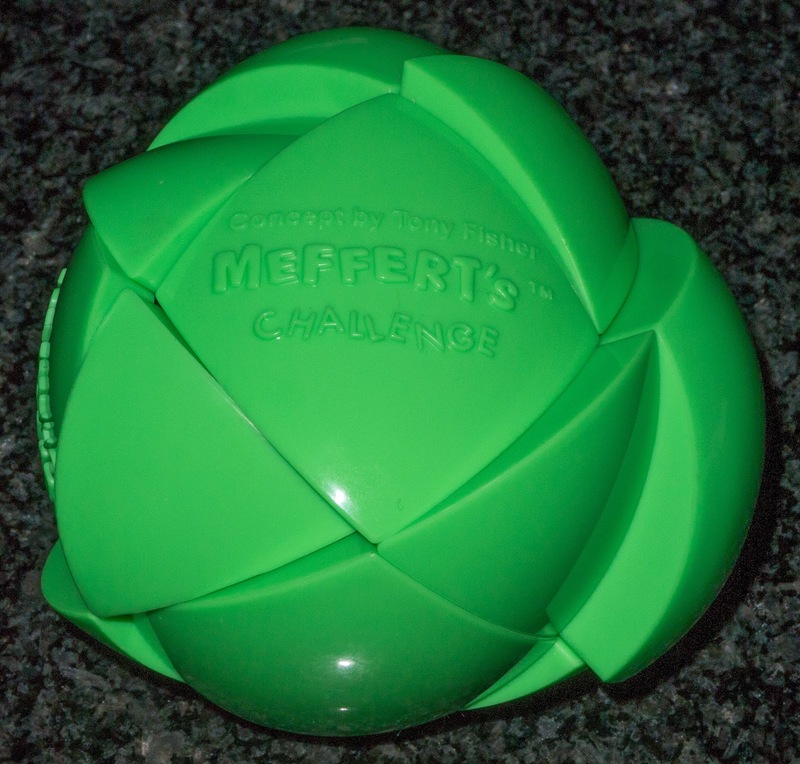 This was actually the first puzzle that I owned that required shape alone to solve. It is not too hard. In fact it is a nice challenge. The puzzles turn so well that they are a pleasure to solve! The Morpheggs aren't easily available anymore so if you would like a puzzle with a similar supercube strategy and that which requires only shape to solve then try the Mirror blocks cube (aka Bump cube) - this is a favourite of many cubers and it really looks terrific! It is available from Puzzle Master here. Glad you like the redesign! Thought I needed a change - brighter and easier on the eye! 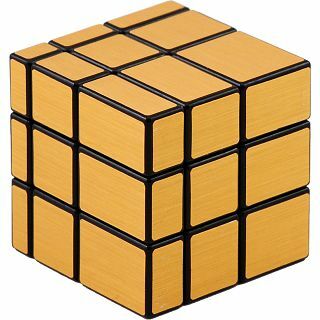 Go for the skewb and then get some brain ache with a Golden egg! The triviality of the skewb is definitely funny. Our skewb solving methods are quite the same. Great blog!